The five-part series ‘A Bright New World’ in Dutch current affairs program Nieuwsuur (Newshour) by public broadcaster NTR/NOS asks how artificial intelligence will determine the future of love, work, care and war. 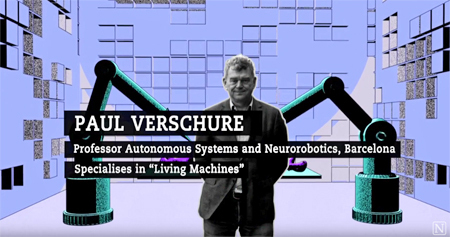 IBEC group leader Paul Verschure appears in two episodes, In sickness and in health? and Will we still work?